Street named after Karl Peters, the colonizer of today’s Tanzania. During my stay in Berlin, the experience in the African Quarter is certainly a unique one. The area’s name is tied to Germany’s colonial past. A rather inconspicuous neighborhood nowadays, there, one finds streets named after German colonies in Africa and infamous German colonizers. 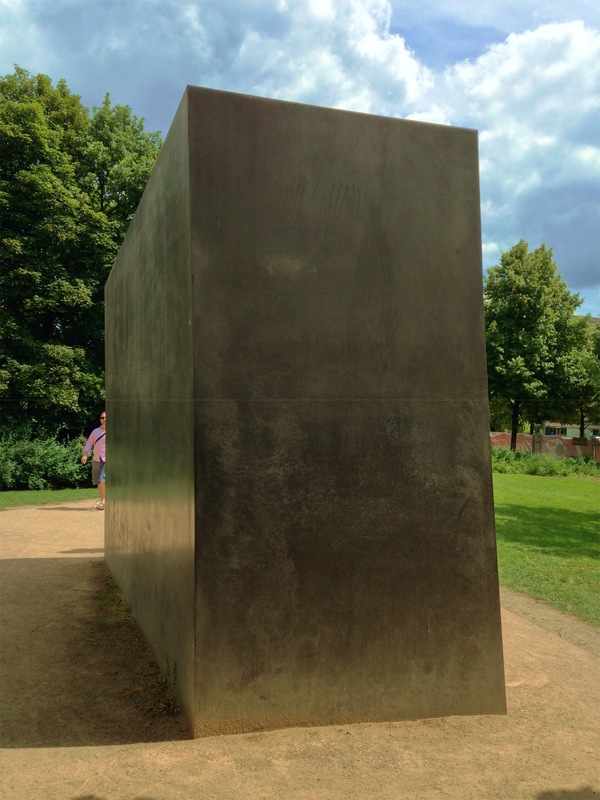 This site is much less visited by tourists compare to downtown memorials constructed in recent decades after the German reunification. The unbalanced focus raises the question how the Germans treat their imperialistic and genocidal history beyond the Holocaust. As our tour guide mentioned, Germans are too overwhelmed by Holocaust history that other crimes are sometimes overlooked. Even for me, a history major, Germany’s colonial past was an unfamiliar topic. 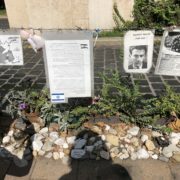 In this generally neglected colonial history, not many victims are well memorialized compared to the victims of the Holocaust. Figuring out which group was left out in a chronological study of history appeared to be significant to uncover a more complex understanding of German history. However, does similar situation occurs in other countries contemptibly? 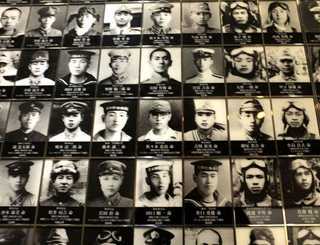 Photos of Japanese invaders inside of the Shrine, Photo Source: www.people.com. the Far East are also currently honored in the Shrine. Besides such action, the Japanese government also not only attempted to stop other countries to memorize less-mentioned victims (such as comfort women) of the war, but also their own citizens by falsifying history textbooks offered to middle school students. Such problematic attitude towards its history of WWII is not equally observable in Germany today. The remains of many high rank Nazi officials, such as Himmler, today are hidden and can’t be traced even upon their relatives’ request. Such action was decided intentionally to prevent the burial sites being worshiped by the future generations as a shrine. 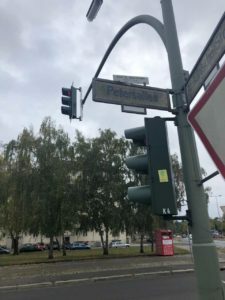 Also, in the center of Berlin, even though the information may not be most effectively presented, memorials of victims that had been less researched of during the Holocaust such as Romani, homosexual and mentally-ill population have been established. The different attitudes towards the genocide during the WWII committed by both countries are also evident in the behavior of state leaders. It is almost a tradition for Japanese Prime Ministers to visit the infamous Yasukuni Shrine once in several years. Every time such worship occurs, it is usually strongly protested by Asian states, which suffered tremendously from the Japanese occupation and the mass murder while creating even more obstacles on the reconciliation with Japan. In contrast, the “Warschauer Kniefall” from Willy Brandt, who felt presetting a wreath to the Victims of Warsaw Ghetto uprising was did not show enough respect, offered a more positive signal from West Germany. Despite suspected as a media stunt, such action did launch a process of reconciliation between German, Poles and Jews. Drawing on the experience during the tour in the African Quarter, the German colonial history, is significantly downplayed in comparison to the Holocaust history. 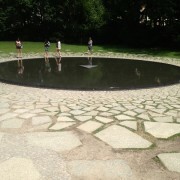 In the neighborhood, there is almost nothing to commemorate the victims of the German colonization. One information plaque that does exist talking about this colonial past is the uneasy fruit of the struggle between the local government and independent civil society groups, who on the same informational sign presented two different versions of history. ot only the history itself is sometimes ignored, evidences of the bloody plunderage, from the colonial period is still on display in major German museums despite the requests from African countries for their repatriation. Public awareness on this critical issue is not only pushed by African governments, but also German scholars and NGOs which travel to Africa and study German colonization in collaboration with Africans living in Germany today. However, Asian and Pacific victims of German colonization are even less mentioned. During our tour, I asked particularly about how the Shandong colony is studied in Germany contemporarily and received a disappointing answer. 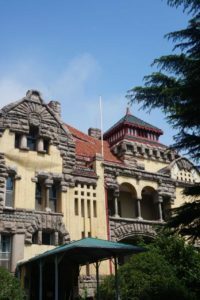 Although the German governor’s residence is preserved in Qingdao today, its history is little studied by the German scholars who specialize in German colonization. It is arguable who is eligible to tell whose history, but in the bilateral process of researching and reconciling the German colonial history, Germany is not contributing enough. 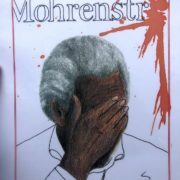 In my opinion, it is not the victims’ task, but the former colonizers’ responsibility to study their history. Otherwise, how would the global community aware of their self-reflection on the crimes they once committed? 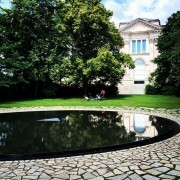 In the context of WWII and the Holocaust, Germany is more willing to commemorate its victims both domestically and internationally. Yet, Germany did not put the same amount of work into its colonial past. 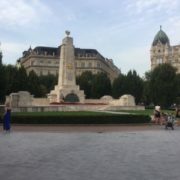 Echoing the statement made by our tour guide in the African Quarter, which I mentioned in the beginning of the article, Germans and government agencies should realize that they have more than the Holocaust to comprehend from the dark sides of their history.